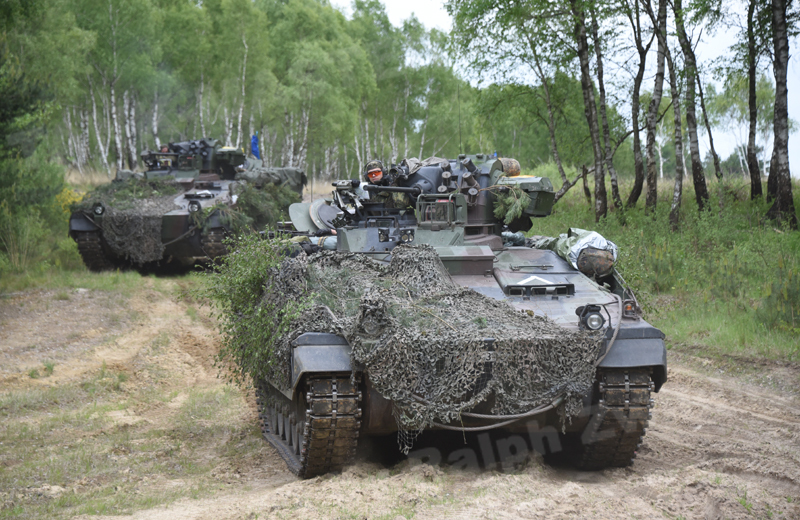 Bundeswehr operations in the Balkans in the 1990s clearly showed that many of their combat vehicles lacked mine protection tailored to the threat level. Therefore, in July 1996, Thyssen-Henschel received a contract to develop mine protection for the Marder 1A3 that would provide suitable protection from mine strikes and mines with explosive formed projectiles. Consequently, the entire interior was modified and the belly of the hull was adjusted to a new protection level. Under extreme time pressure, the manufacturer’s trial, technical trials plus tactical and logistical trials were conducted with two fully equipped vehicles, these being successfully finished in June 2001. 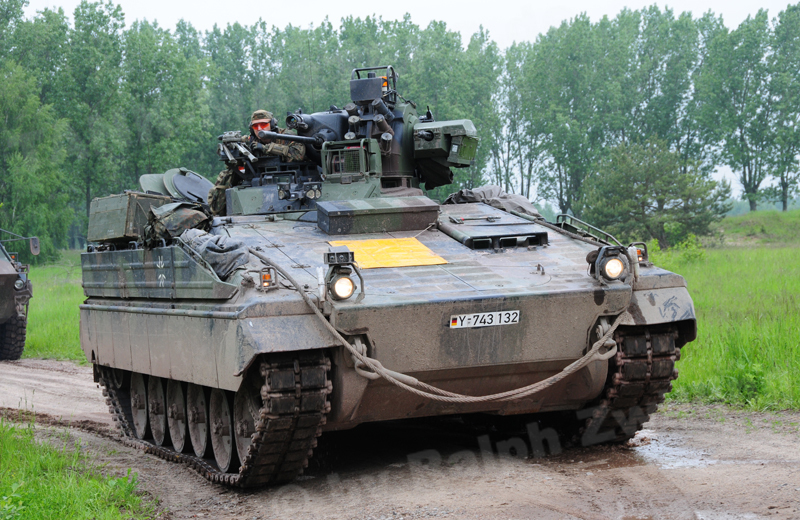 On 31 July 2002 Rheinmetall AG received a contract to convert 74 Marder 1A3 AIFVs to 1A5 configuration. 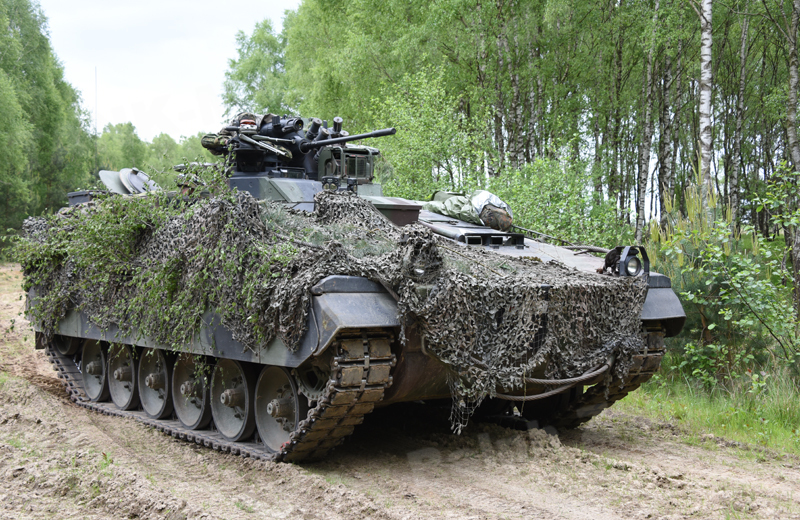 Only five months later, on 18 December 2002, the first Marder 1A5 was handed over to the 52nd Armoured Infantry Battalion in Kassel. As part of the conversion, a total of 3,450 parts were mounted in each Marder 1A5 AIFV. Among the most important modifications was installation of a mine protection belly plate covering the driver’s area and the fighting compartment, the fitting of reinforcements to corners of the hull, the installation of a false floor using meander welding technology, and the installation of covers over weld seams. Furthermore, spall liner plates were installed in the interior to reduce the effects of spall. The frame with seats was now decoupled from the floor, and the seats fitted with safety belts and footrests. Also, the storage concept was completely reworked in relation to the mine protection. From the exterior the Marder 1A5 can be easily distinguished from the Marder 1A3 by three new storage boxes on the upper hull, and the side skirts with horizontal edge made of rolled homogenous-steel armour. 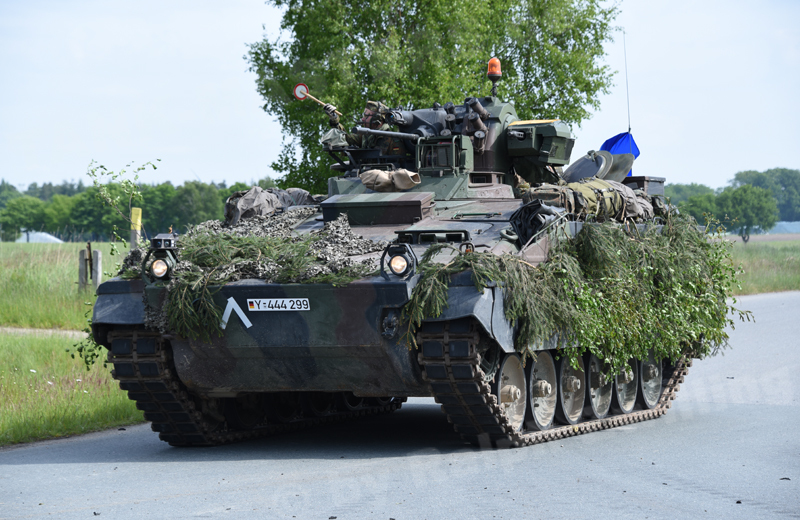 By installing the mine protection, the gross vehicle weight of the Marder 1A5 AIFV rose by 3,500kg. The main armament consists of the MK 20mm Rh 202 automatic cannon, the coaxial 7.62mm x 51 MG3 Maschine Gun and the 76mm smoke grenade discharger system with six launchers.